It's back for round two! 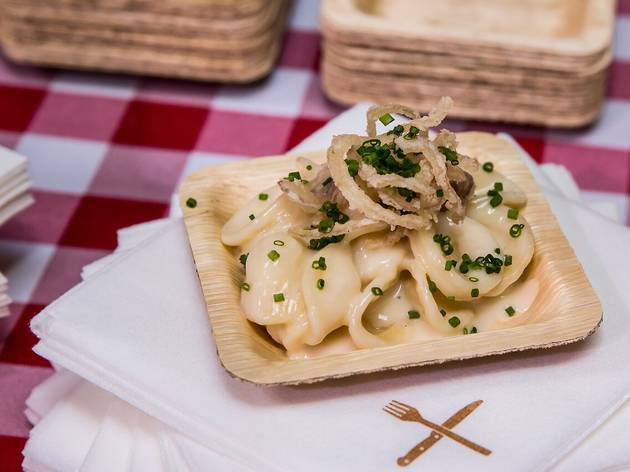 Last year's Mac and Cheese Smackdown was such a success, we decided to bring it back—and this time, the competition is even fiercer. 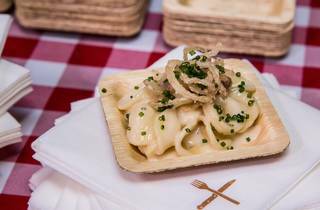 On Sunday, December 4, join some of L.A.'s top restaurants at Bank of America Plaza in Downtown Los Angeles as they go head-to-head to determine who cooks up the cheesiest, creamiest mac and cheese dish in town, from truffle-laden macaroni to a fiery jalapeno variety. 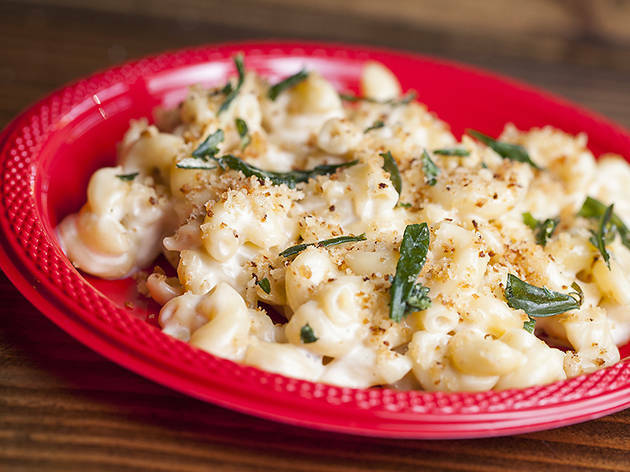 And yes, there's a mac and cheese option for vegans, too. Tickets can be purchased on Eventbrite, and include tastings from The Hudson, BOA Steakhouse, POP Champagne & Dessert Bar, Little Pine, Max City BBQ, Trencher and Comfort LA, plus a side of smoked brisket and curried root vegetable from GC Marketplace. Crème Caramel LA is providing dessert, too: a mini pavlova with candy cane meringue and chocolate and vanilla custard. We'll also have complimentary drinks from Dark Horse Wine, Angel City Brewery and Rekorderlig Cider, and Best Friends Animal Society will be there to talk about adoption at their booth. Choose from three sessions (noon-2pm, 2:30-4:30pm or 5-7pm), when you'll be able to vote for your favorite dish after trying each one. It's probably the second most important vote you'll make all year. $25 early bird pricing has ended but you can still snag tickets here. 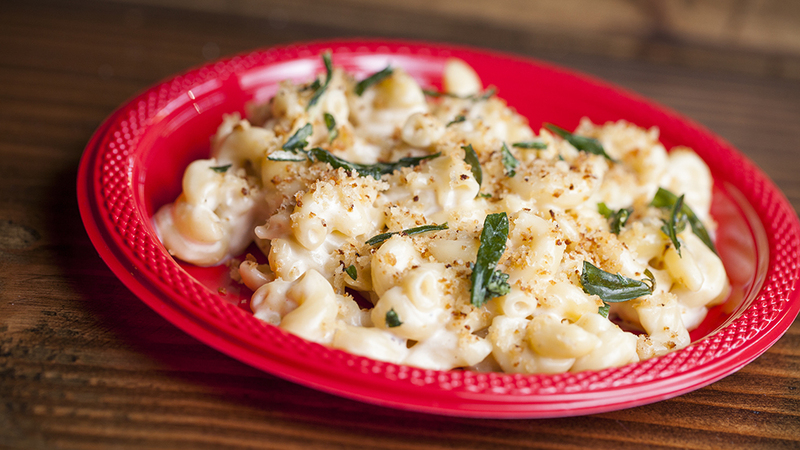 We'll be using #macsmack for all our mac and cheese updates and details, so follow along! Want a sneak peek of the smackdown? Check out our recap from last year's cheese-filled event.